Hello Monday! Back to work - woohoo. Or, perhaps not?! 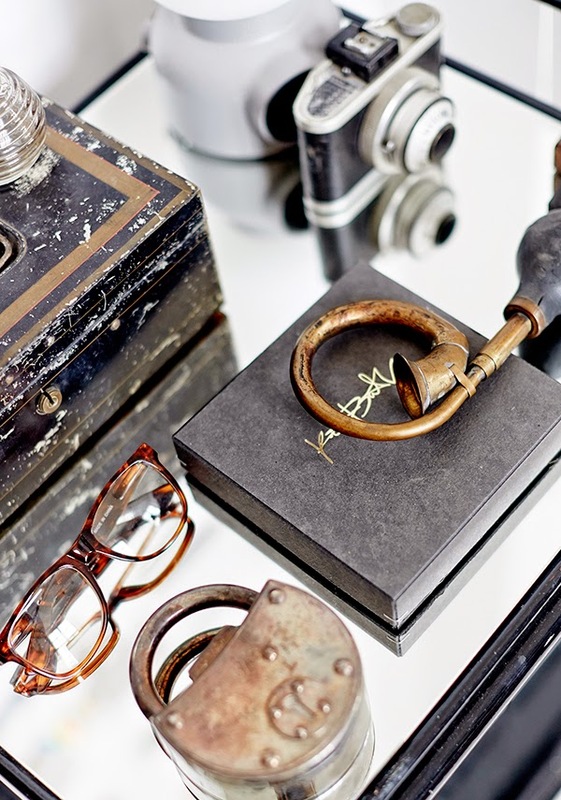 Which is why I thought I'd kick off the working week with an uber cool studio! Katrin Bååth is a self confessed multi-tasker, describing herself as an 'art director, stylist, event coordinator, designer, creator and everything in between'. She works out of her Jönköping studio in Sweden. 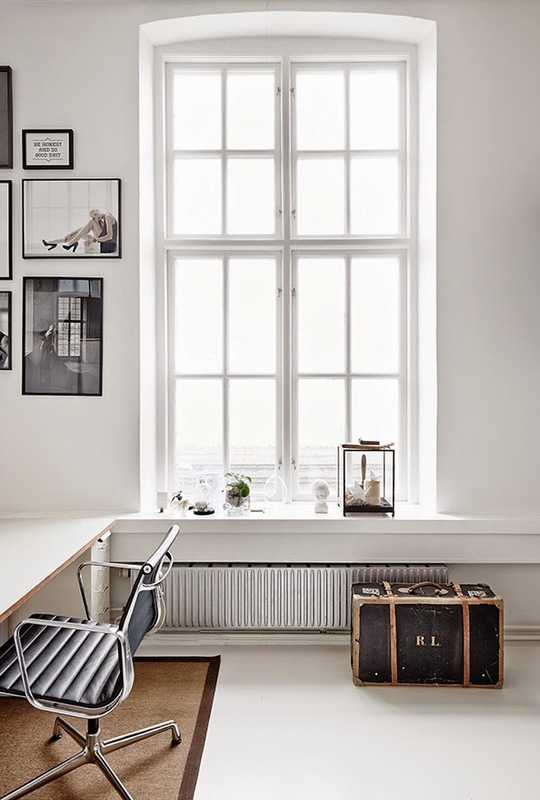 And looking at how she has decorated the space tells us a lot about her sense of creativity and personal style, I could work from here, how about you?! Studio owner: Katrin Bååth. Photography: Sara Lanstedt with permission. I really love the neon lights. I'm often trying to think of somewhere I could install a set in my own home. Source individual neon letters to make up your own words here. 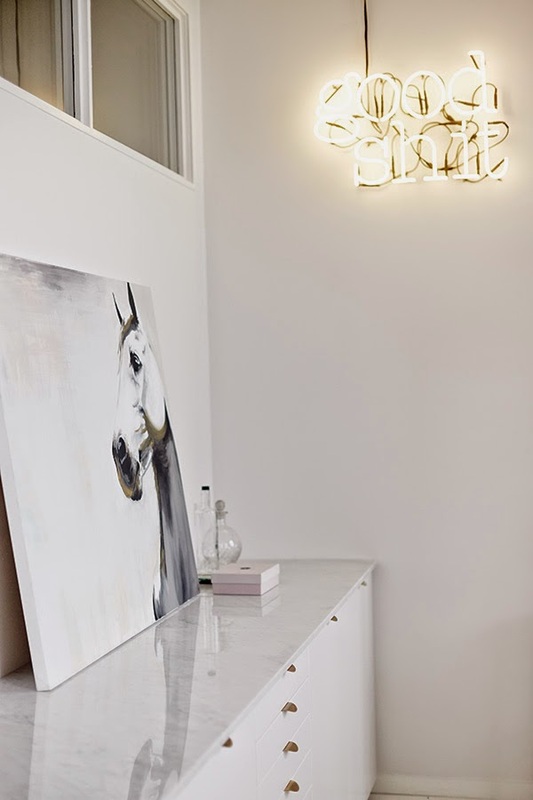 I also love light boxes like this one (something for the entrance hall?!) or this one for the bedroom (sweet!). You can see Katrin's wonderful portfolio here and follow her latest work on her blog. 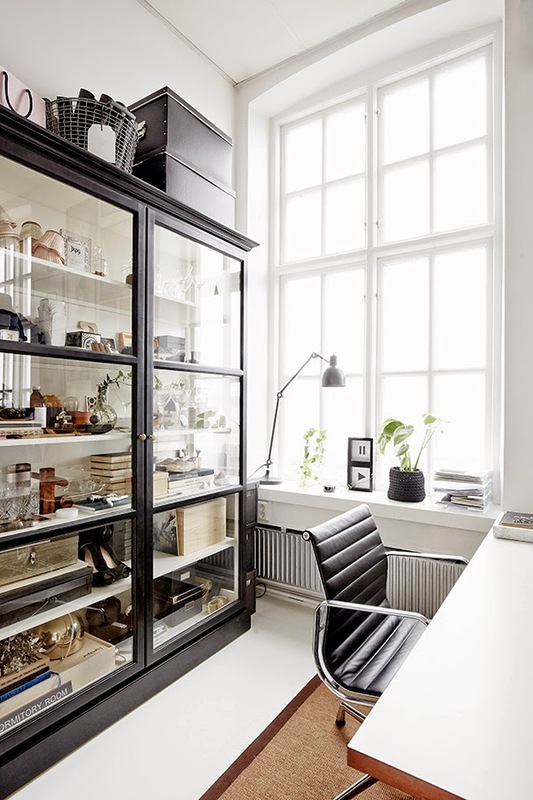 Other studios / ateliers I love include an Italian designer space and a relaxed art studio. Have an inspiring start to the working week! 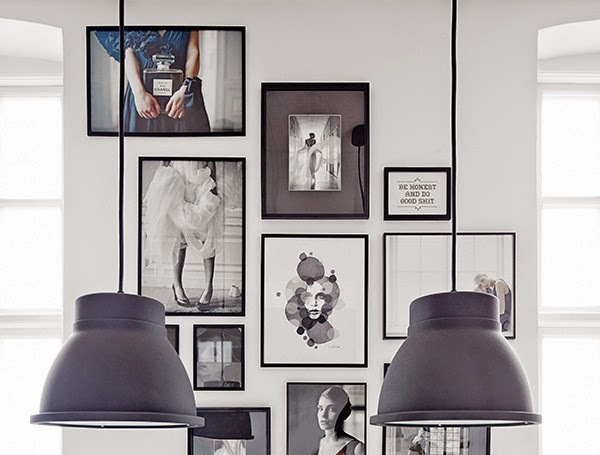 Love the beautiful gallery wall with the collection of black and white photos. There is something nostalgic about this place. 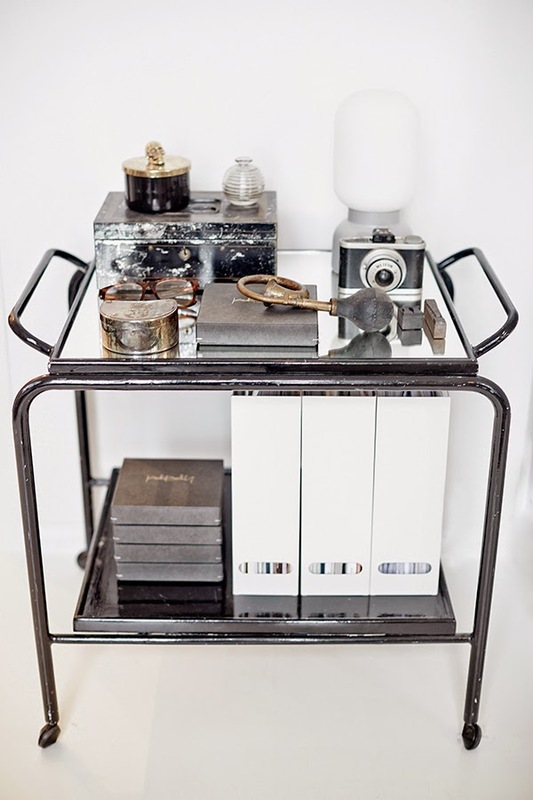 Especially with the eclectic set of items on the bar cart. Thank you for sharing. I love the mix of contemporary & vintage in this beautifully creative home.